Plain Dome Wedding Band Solid 14k Yellow Gold Ring Polished Finish Calssic, 8 mm Size 12 by ZenJewels at SCRHI. Hurry! Limited time offer. Offer valid only while supplies last. 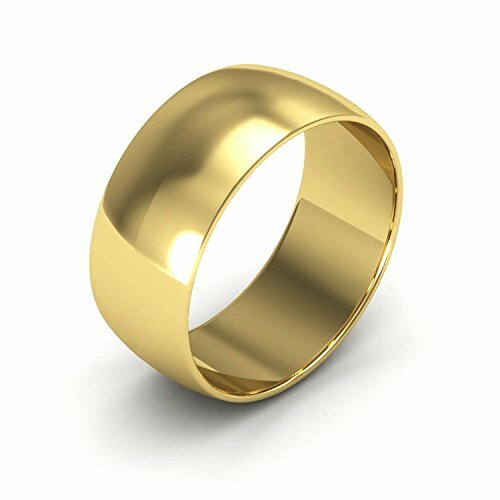 Genuine real solid 14k gold wedding band ring. High quality wedding and engagment band for men and women. Special item for the eternity occasion. Genuine real solid 14k gold wedding band ring. High quality wedding and engagment band for men and women. Special item for the eternity occasion. Plain Dome Wedding Band Solid 14k Yellow Gold Ring Polished Finish Calssic, 8 mm Size 12.